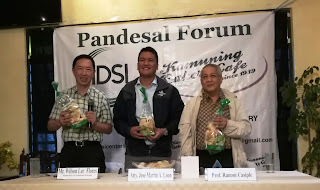 Experts said at the non-partisan Pandesal Forum in Quezon City that the proposed charter change of the 1987 constitution can help end the Philippines’ notorious, age-old tradition of political dynasties dominating local government units (LGUs) nationwide; it shall boost “more inclusive economic growth” by decentralizing government funds and encourage more business investments outside the National Capital Region (NCR) of Metro Manila. It is envisioned to craft “one of the world’s most modern and truly democratic constitutions in the world”. These were among the various ideas expressed by top politics analyst, the Institute for Political & Electoral Reforms (IPER) executive director Ramon Casiple and the youngest delegate to the Consultative Committee to Review the 1987 Constitution, Georgetown University and University of the Philippines (U.P.) Law School-educated Atty. Martin Loon. Casiple said that for decades, Philippine politics has been “dominated by oligarchic, elite families” and this proposed charter change plans to specify provisions to ban political clans from monopolizing electoral politics, other political reforms include proposals to promote party politics instead of the current system of personality-driven politics. 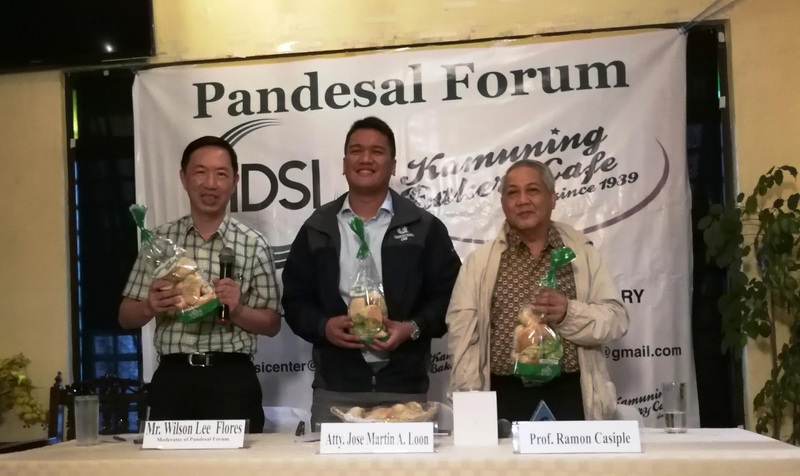 Casiple also said that the proposed federalism system to replace the present unitary system shall help decentralize economic development resources, funds and activities into various rural regions of the Philippines, to promote genuine economic democracy. Atty. Loon appealed to political leaders “not to politicize the discussions on charter change, because it is for the benefit of all Filipinos and not to favor any political group or faction”. He added that in the past different administrations, the Philippines had been changing presidents and political leaders, but the socio-economic woes of the country have essentially been the same, therefore the problems are “more systemic in nature”. Atty. Loon said the proposed charter change draft by the Consultative Committee shall be finalized by legislators in consultations with the citizenry and multi-sectoral groups, that it shall ultimately be decided upon by the people in “the ultimate survey which is a plebiscite”. Atty. Loon said charter change shall benefit people not only via political empowerment and modernizing our political system, it can also strengthen economic development to create more new jobs. Atty. Loon said the ConCom shall go speak to various public fora and multi-sectoral groups to explain their draft constitution. Casiple and Atty. Loon both said the ConCom’s draft constitution is still “a work in progress”, that they shop charter change can soon be finalized in time for a possible plebisciteto coincide with the 2019 national elections. Both experts said that there are many versions of the progressive federal system of government worldwide, that some of the world’s most economically vibrant and politically stable countries have a federal system, such as the United States of America (USA), Europe’s economic powerhouse Germany, Switzerland, Canada, Austria, Malaysia, Brazil and many others.